In 2016, Keith Yocum entered his latest novel into the Kindle Scout program. His novel was selected for the 30-day campaign, and then picked for publication by Kindle Press — all to Keith's own surprise. 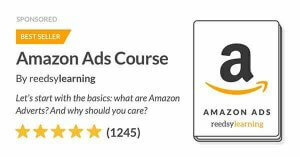 In this guest post, Keith tells us about his Kindle Scout experience, and the not-so-secret recipe to his success with the program. I am a writer who has toiled for many years in journalism. During this time, I did everything from starting a newspaper from scratch, writing a weekly column for four years straight, to working for a major daily newspaper. It’s been a terrific career and I’ve enjoyed all of it, even the late nights and crushing deadlines. Well, maybe not the deadlines. Still, after the thousands — millions? — of words I’d written and edited, there was one driving passion that went unfulfilled. I wanted to write a novel. Or two. 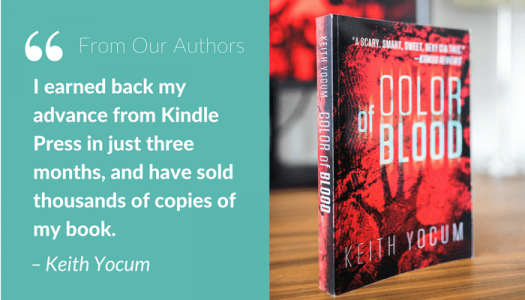 Thirteen years later, I have self-published two novels and last year landed a publishing deal with Amazon after entering my third book, Color of Blood, into the Kindle Scout program. 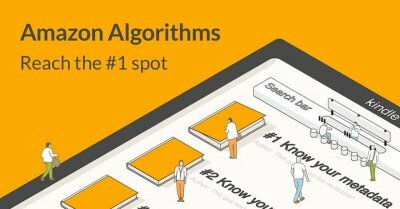 Kindle Scout is a program for unpublished manuscripts that combines crowdsourcing with editorial curation. 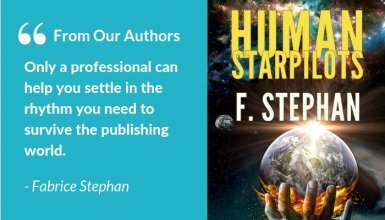 It's fairly simple: you need an unpublished manuscript, a completed book cover, a brief "one-liner" about the book, and a book description of 500 characters or less. After submitting to Kindle Scout you wait to see if your manuscript will be selected for the program. 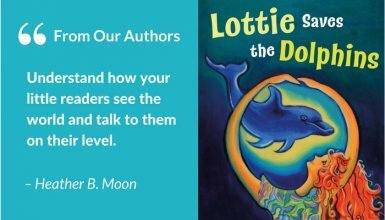 This process is a little mysterious, as writers don't precisely know what criteria are used to gauge whether a title is worthy of inclusion. If picked for the program, your book is given exposure for 30 days on the Kindle Scout homepage. 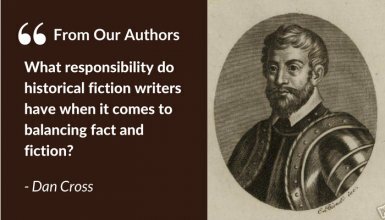 Writers are then responsible for reaching out to their networks and requesting they vote for their book. The clever part is that anyone who votes for your book gets a free ebook copy if your title is picked for publication by Amazon — which is, of course, part of the incentive to vote. If your book is selected for publication after the 30-day Kindle Scout campaign, you are asked to sign a 5-year publishing contract. Please note, they only want rights to the ebook and audiobook versions; the author maintains the print and theatrical rights. a guarantee of $25K in royalties over five years. 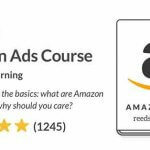 In terms of the marketing efforts done by Amazon once they publish your book, they routinely rotate titles through a number of their own promotional emails. Right now, they’re running a 99-cent promotion, featuring a bunch of Kindle Scout “Reader Favorites.” And of course, their recommendation engine will suggest your book to folks who have purchased similar books in the past. Scout winners are encouraged, of course to blog, tweet, email and purchase marketing for their books with any tools necessary, though it's important to note that Kindle Press controls the price of your ebook title at all times. These are pretty good terms for most indie authors, and combined with the promotional power of Amazon — the biggest bookseller in the world — it’s a great way to build a following quickly. 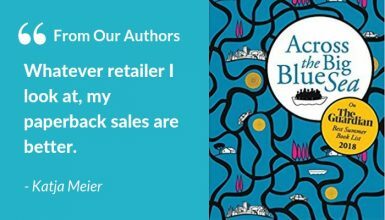 Having the promotional power of Amazon on your side is huge for indie authors. I was a little surprised when my book was picked for publication after the Kindle Scout Program. During the campaign, I only sent one email to about 25 people, asking them to vote for Color of Blood, so my own email list did not generate a ton of interest. And yet, in the last week of my campaign, I noticed a sudden rush of attention to my novel. I have to assume that a good part of this interest is in credit to the great cover design and clean manuscript I received through Reedsy. Initially, Stewart Williams and I were a little off base on what the cover should look like. He sent me two concepts for the cover to start, both of which were “conventional” mystery covers — involving the silhouette of a man holding a gun. When I say there were “conventional,” it is not a negative: a good book cover is one that will quickly appeal to readers, so following the norms of a genre is often the smartest move in terms of sales. The concepts Stewart sent me were very well-designed and well thought-out. However, I had something different in mind for Color of Blood. Together, we went back to the drawing board and decided the cover should incorporate a type of Australian Aboriginal hand art — as this reflects a key scene in the novel. Stewart found the art and created a cover I was very pleased with, making tweaks and changes I requested up until the last minute. In the end, he was able to design a cover that stood out, but still grabbed the attention of readers looking to read a thriller. Due to the fact that half of my novel is set in Australia, I was excited to see Australian copyeditors on the Reedsy marketplace. While my mother was Australian, and I had visited many times, it was important to me that a local ensure the descriptions and language were authentic. 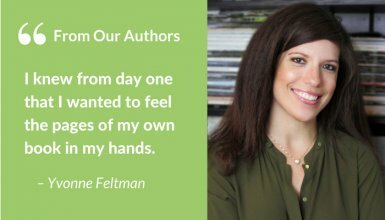 I chose Jessica Perini and we worked well together; her copyediting was quick, professional and helpful. I did not expect to sell many copies in Australia, but if someone Down Under did read it, I wanted the manuscript to hold up — and I’m confident now that it will. 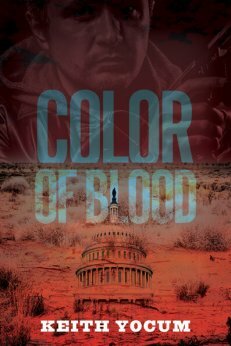 The speed of reviews and sales for Color of Blood has been pretty amazing with Scout backing it. To put it into perspective: I published my debut indie novel Daniel in 2009. Eight years later, Daniel has 107 Amazon verified reviews and a 4.3 average star rating. 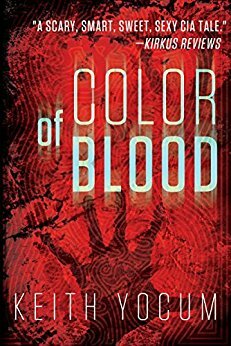 After only one year since Amazon published Color of Blood, it has 91 verified reviews and a 4.1 average star rating. I earned back my advance from Kindle Press in just three months, and have sold thousands of copies. In general, the Scout experience has been terrific. In terms of whether I will continue entering my novels into the Scout Program: I’m on the fence. Color of Blood is a trilogy and other authors have said that it’s often quite difficult to have a series of books selected for the program. That being said, if I do submit another book to Kindle Scout, I will put the valuable learnings this first experience has taught me to use. Book covers are absolutely critical to marketing your title in a very crowded marketplace. So make sure you hire a professional to design yours. This isn’t a tip, it’s a must. Also spend time working on your book descriptions and marketing summaries — working with a professional here doesn’t hurt either. I’m reluctant to admit it, but publishing is a business with clear methods of success, including genre-specific narrative structure and clean, purposeful writing. 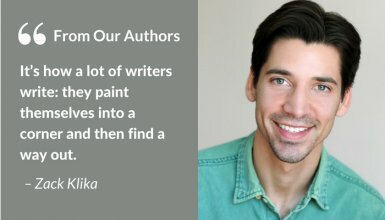 There were reportedly half-a-million self-published books last year, so standing out from the crowd is key for any writer, and that means using professionals to help. Hiring a professional cover designer isn’t a tip, it’s a must. In this respect, I have to take my hat off to the folks at Reedsy for making my work more marketable and collaborative. There are some great professionals there ready to be found. Color of Blood is available in paperback and on Amazon Kindle. For more information, visit Keith Yocum's website. Please share your thoughts, experiences, or any questions for Keith Yocum, in the comments below!